Paradoxically delicate and commanding, the Hill House chair was designed by Charles Rennie Mackintosh exclusively for the White Bedroom in Hill House in Scotland and is an example of the Arts and Crafts movement of the time – in the first decade of the 20th century. Art is a flower. Life is a green leaf. The Hill House chair, which includes influences from the simplicity of Japanese design, is surprising for that simplicity and for its over-the-top dimensions. 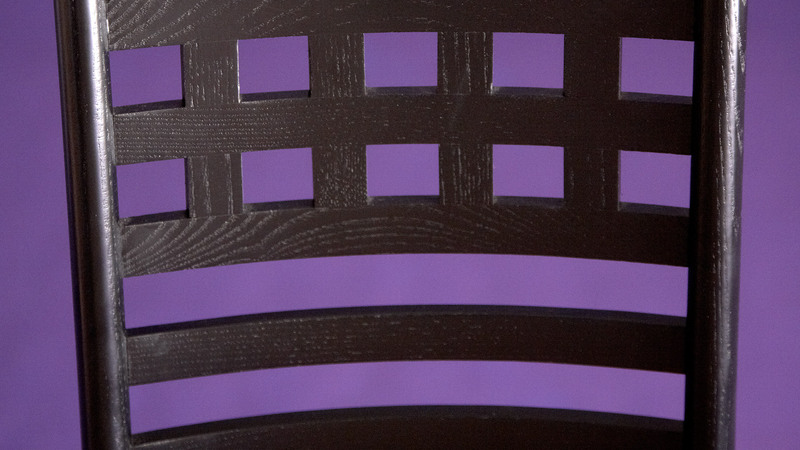 Mackintosh felt design was far more important than function in the case of this chair and designed it as an art piece for the space rather than as a functional chair. 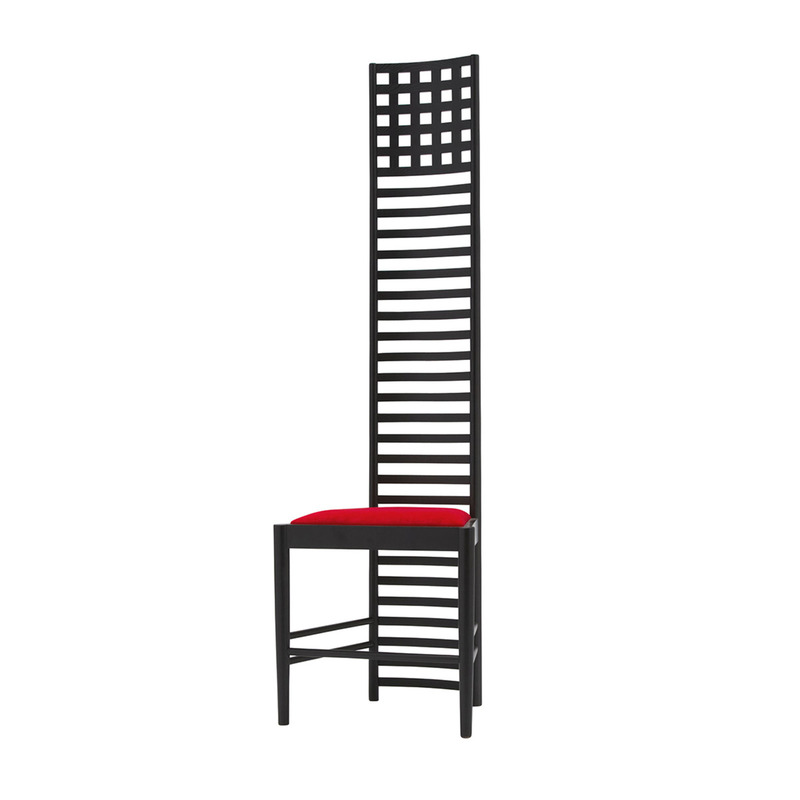 The Hill House chair illustrates Mackintosh’s articulation of space with its extremely high back and rows of horizontal bars topped with a grid. 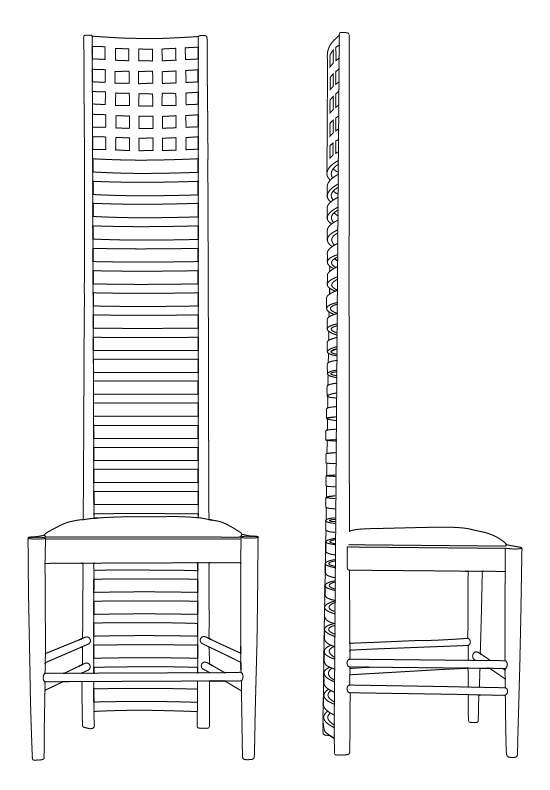 The slender back legs are elliptical in shape with a series of ladder rails linking them together. 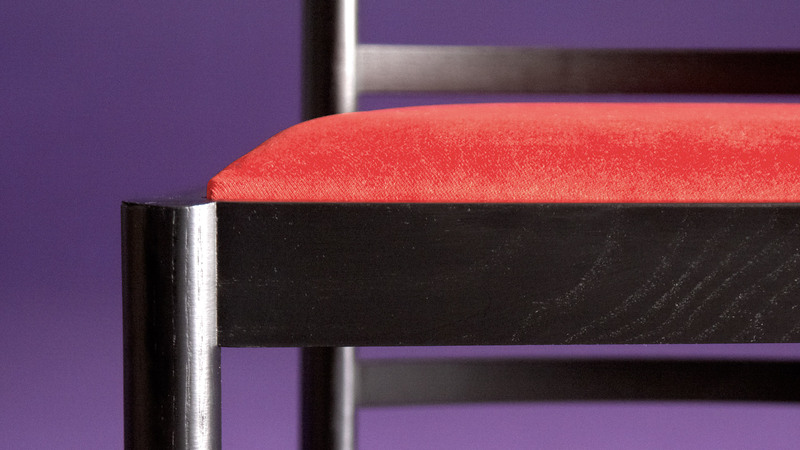 In addition, the seat pad is very small in order to emphasize the chair’s fragility. Scotland’s most famous architect, Charles Rennie Mackintosh, is considered a forerunner of modernism. He was born in Glasgow in 1868 and died 60 years later in 1928 in London. Mackintosh studied at the Glasgow School of Art for Architecture and Design and later worked with Honeyman and Keppie beginning in 1889. Eventually he, his wife, her sister and the sister’s husband collaborated to form “The Four” who developed their own style known as “Glasgow.” Often mistaken for Art Nouveau, Glasgow style featured a more natural flow in the use of flowers and plants within the design.